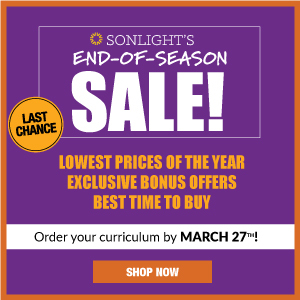 I read this article and wanted to share it with you: Homeschool Habits That Build Readers in an Internet-driven World https://blog.sonlight.com/homeschool-habits.html. Do you remember when we discussed the idea of teaching our kids to focus (since the average American's attention span has grown shorter than a goldfish's)? I often think book lovers like us won't feel the ramifications of a distracted digital culture because, after all, we know how wonderful books are and how we can benefit from them. But cultural change has a way of seeping in undetected, and what we know and what we do aren't always the same. 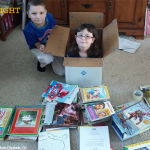 Our homeschool habits, though, can build a fortress of protection around our desire to raise children who choose to read with attention and delight. I was stopped in my tracks when I came across an article entitled "The Death of Reading is Threatening the Soul" by Phillip Yancey in the Washington Post. He discusses his "personal crisis" regarding "the books he used to read," and his growing sense of distraction while reading online. I highly recommend reading Yancey's article in full, but I'd like to highlight one aspect of it here. He takes an honest look at how even those of us who value and enjoy books can miss out on some of their benefits as we navigate our wired world. I found it sobering that this bibliophile noticed changes he didn't like in his reading habits. 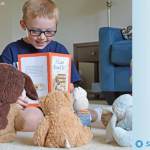 I'm inspired by the steps he took to make reading a more intentional part of his life. We Model What We Value: How Do We Spend our Time? While it's extremely important for us to talk about the dangers of the ipad for children, or how "smartphones have destroyed a generation," we have to look beyond our children's habits to our own as well. We model attention to what matters. Charles Chu calculates that at an average reading speed of 400 words per minute, it would take 417 hours in a year to read 200 books—less than the 608 hours the average American spends on social media, or the 1642 hours watching TV. "Here’s the simple truth behind reading a lot of books,' says Chu: 'It’s not that hard. We have all the time we need. The scary part—the part we all ignore—is that we are too addicted, too weak, and too distracted to do what we all know is important." Wow. So if we know we need to read more, and we want to avoid the things that distract us (and make us less able to think deeply or even relate best to others), how can we get out of our own ruts? How do we resist being carried along with the cultural current? How can we avoid being slaves to the addiction of media distraction and choose instead to read well? I don't know if this challenges or discourages you, but hang in there—there is good news! Both Chu and Yancey mention creating a "fortress of habits." 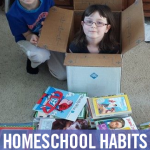 As a homeschool mom, boy do I understand the power of habits! I understand them as the things we do regularly to nurture an environment in which our best can flourish. At the same time, those habits offer protection from behavior and patterns that lead us into what we do not want to be. 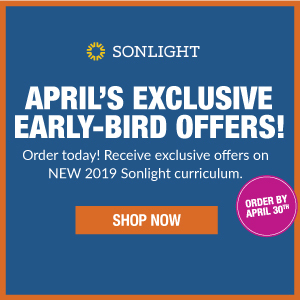 How does Sonlight help with good habit formation and help us make strides in raising children who are widely-read and deep thinkers? 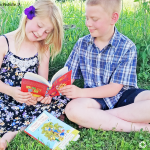 By reading with our children each day (perhaps especially when we think we don't have time) we are building in the expectation that we pause to sit down, read real books and discuss and think about them together. We are showing our children that this is a core value, not just an extra. 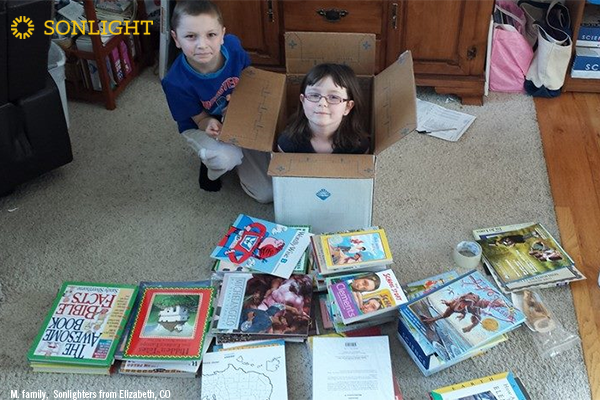 We are helping build their fortress of habits each day in a delightful way! Willpower is never the best motivator. Delight is a great one. Forming a habit to make something automatic means less need for willpower. Once these tracks of a habit are formed, we more easily make more good choices. When my own children had finished their table subjects each day (like math and handwriting), we always had a snack and then our Read-Aloud time. They often hurried through those first subjects because their treat of a good book was waiting! They lived in a world where getting to read good books was a great thing, and they tied it to memories of our family together. 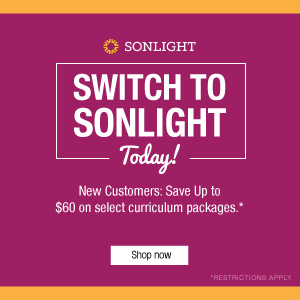 Because Sonlight already has each day scheduled for you, goals like "make memories, reading life-changing books with my kids" doesn't have to be a lofty ideal that never happens in reality. You are committing to this idea by investing in it and making it a part of daily life with a schedule and a plan. 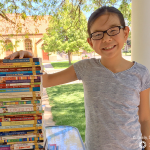 Even if you miss a day, or don't follow the schedule exactly—even if you only completed 50% of the material, you would still have made huge strides toward offering your children the gift of the habit of reading. 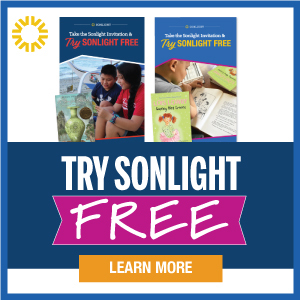 I pray Sonlight is serving families well in offering an action plan for raising readers and by providing the kinds of books that make it a delight. Know that by simply following the plan, you are creating habits in your family that are life-giving, brain-stimulating, and distraction destroyers. You are helping set your children apart as potential leaders who can move past the cultural current to engage ideas on a deep level. 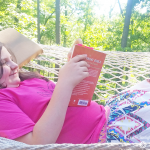 Set yourself up for success in the goal of raising readers who can stop skimming the shallows and dive deep, even with the pull of instant-gratification media all around. What habits are you leading your children into as a part of your lifestyle and what values are you hoping to emphasize this year?